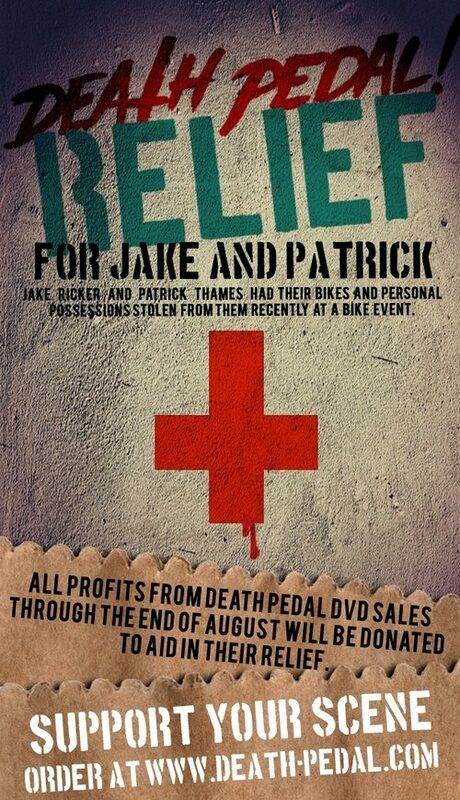 Death Pedal and Pedal Consumption have created a relief fund for Patrick and Jake’s stolen property. Hit up the Death Pedal store and the money earned from the DVD sale will be donated. Or hit up the Pedal Consumption relief fund here and help the guys recoup.